Hallo, hallo! 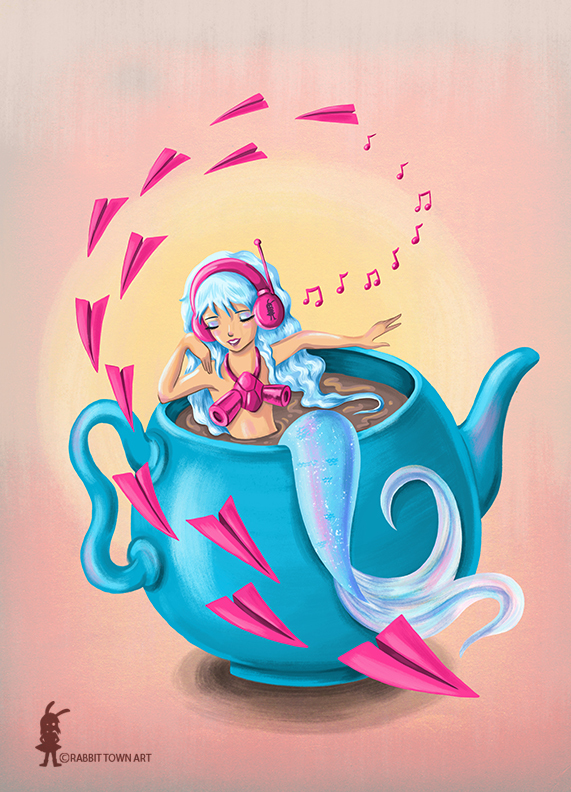 Here's My teapot mermaid! Prints and stuff are available on my Redbubble store! I revised her from one of my older pieces and decided to revamp her a bit! A good day today, hanging out with a friend at her place and having girl talk and such. Also eating doughnuts! Anyhoo, a day of work tomorrow!